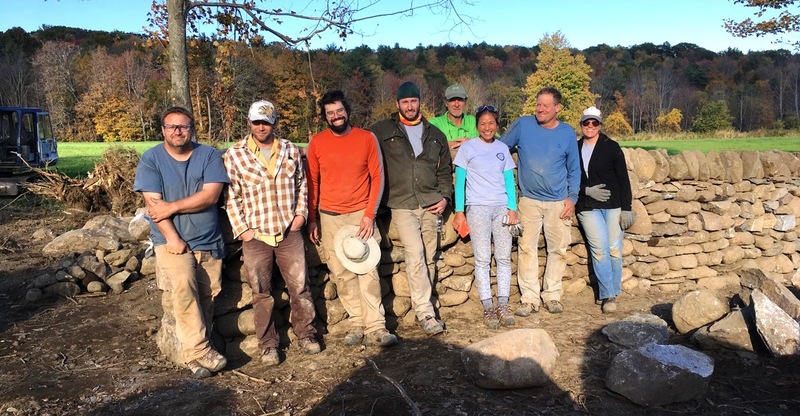 The instructors thoroughly enjoyed working with everyone on this 2-day historic wall rebuild complete with great fall atmosphere. Over the course of the weekend, 14 feet of double stack wall was built along with 25 feet of Galloway wall with 2 cheek ends. Additionally, a cheek end, damaged by a tractor, was rebuilt and participants learned how to split boulders using feathers and wedges. They also discovered the importance of using a style of building appropriate to the materials on hands.